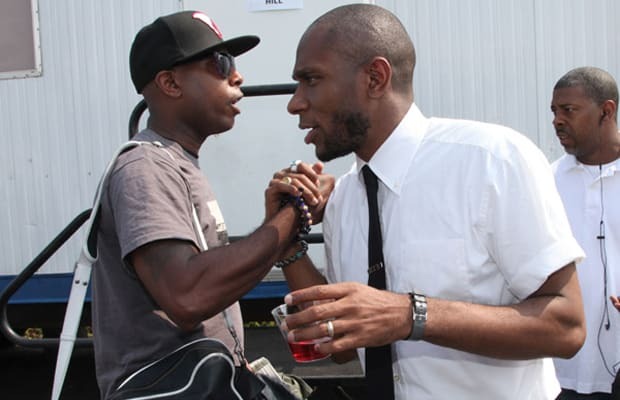 Talib Kweli: “It was very important to me, and also very important to Rawkus, that people understood who I was by name. Rawkus knew they were about to put out a Reflection Eternal record. "If you look for Black Star in the record, technically the record is called Mos Def and Talib Kweli Are Black Star, that’s technically the name of the group on paper. If you look at it, it follows suit with the next record because the next record is Talib Kweli and Hi-Tek Are Reflection Eternal. That was important for us. We knew that Black Star might be a one-off for us. When we did Black Star, it wasn’t like, ‘Oh, we’re a group now,’ and that’s what a lot of people didn’t understand because that was the first time they had heard of me or Yasiin. When we did Black Star, Reflection Eternal was already five years old. “We did it like that because it was very important—and I think it was one of the smartest things that we both did—it was very important that people understood these were two separate individuals and I had something else coming. I think if it had just been Black Star, my career wouldn’t have been the same. “We knew that Black Star might be a one-off for us. When we did Black Star, it wasn’t like, ‘Oh, we’re a group now,’ and that’s what a lot of people didn’t understand because that was the first time they had heard of me or Yasiin. “When we did Black Star, Reflection Eternal was already five years old and I had already been knee deep into working on that album. I had my own friends and my own ideas about music. "Black Star was something we did to come together. We just went and we were like, ‘This is my man and we doing a little group project together.’ So then he went and did his thing and I went and did my thing after that.